Home Hardware Building Centre has 13 departments in our Yorkton store to provide you with items for every area and activity in your home. Find everything you need to prepare for a successful, adventurous hunting season, whether you’re hunting small game, deer, pheasant, duck, or big game. We have the apparel, gear, and equipment you need, including camouflage and blaze orange clothing, hunting blinds, chairs and cushions, hand warmers, calls, deer licks, scent free detergent, carrying cases, backpacks, and more. We also have bows, arrows, sites, targets, rifles, and ammunition. We can complete full gun registration when you purchase a new gun in store. Our associates also administer hunting licenses. 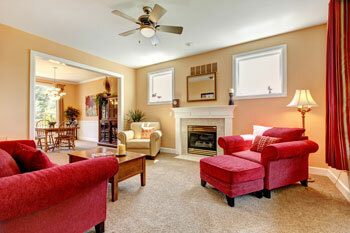 Any area of your home looks new again with a fresh coat of paint. We have exterior and interior paint varieties in matte, eggshell, and glossy finish. 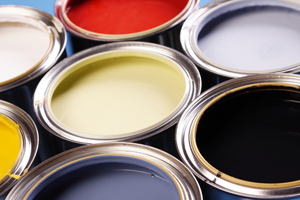 We carry several well-known name brands, and our paint is professionally mixed in store. Virtually any shade is possible, and we also have base coat, top coat, and wood stain. Our paint department also has paint mixing sticks, rollers, paint brushes, painter’s tape, plastic tarp, paint trays, paint remover, and more. Home Hardware Building Centre has an extensive selection of flooring products, including all shades of hardwood flooring, linoleum, and all types of tile, including stone, ceramic, vinyl, and porcelain tile. The color options for tile and linoleum are virtually endless, and we can combine them in any pattern to create a floor all your own. We can set you up with floor installation services, or you can install the flooring yourself; we have caulk, adhesive, seal coat, and other tools needed to install flooring correctly. Lighting is important for not only functionality, but setting the mood as well. We have every type of lighting you could need for your kitchen, living room, bathroom, bedroom, basement, or exterior areas. This includes sconces, recessed LED lights, chandeliers, table and floor lamps, hanging lamps, flood lights, and garden fixtures. We have a large hardware department with everything you need to complete home projects, from hanging a photo to extensive remodeling. We have nails, screws, washers, nuts, bolts, light bulbs, batteries, and any other small hardware pieces you need. We also have items such as brackets, curtain rods, weather stripping, and much more. Home Hardware Building Centre also has an interior design department. 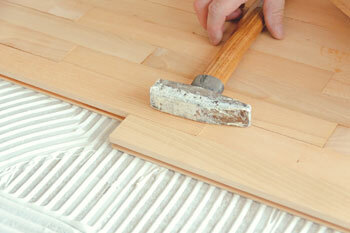 If you need remodeling services or simply the tools to make modifications yourself, we have what you need. This includes RTM homes and kitchen renovations. From countertops to crown molding and everything in between, you’ll find exactly what you need. Our Yorkton hardware store also has a custom cabinetry department. 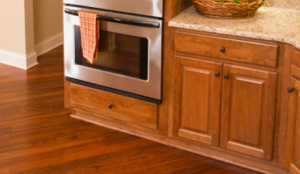 Whether you need to make a minor repair, redesign one section of cabinet, or redesign all of your cabinetry, we have a vast selection of doors, cabinet sets, knobs, and more in several wood finishes and painted colors. Our electrical department offers many essential items, large and small. We have extension cords, replacement wires, fuse box switches, replacement electronics cords, light switches, batteries, and appliance hookups. From lamps to electrical heating components, we have everything you need to keep your electrical components working. We also have a plumbing department with everything you need to install, maintain, or repair sinks, garbage disposals, toilets, showers, tubs, and garden hoses. This includes washers, drain covers, and other small parts, along with drain cleaners, and snake tools. Our plumbing fixtures include kitchen and bathroom faucets, full sinks, shower heads, bathtub faucets, toilets, garbage disposals, sprinklers, and more. 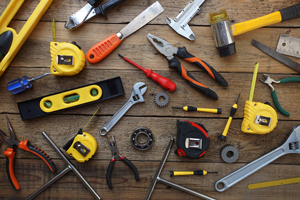 Our tools department has every type of hand tool from hammers to wrenches. Power tools include saws, drills, and trimmers of all types. We also have lawn and garden tools, including lawn mowers, hedge clippers, snow blowers, leaf blowers, rakes, shovels, tillers, watering cans, gloves, and much more. From fixing a leak in your sink to planting flowers, we have tools for every job in and around your home. Express your personality and make your home look beautiful with items from our home expressions department. We have throw rugs, throw pillows, decorative blankets, framed artwork, vases, baskets, knick knacks, candles, and much more. If you’re building new areas of your home or structures such as a shed or gazebo, we have lumber of all types and sizes. We also work with commercial contractors who are building new homes and commercial buildings. Save yourself the heavy lifting and loading into your car by driving up to our lumberyard. Our associates will take care of that for you.